San Juan night is getting closer, being one of the most magical and fascinating nights in the year. In Majorca, this party is celebrated in very special way, making the most of the good weather in the island and its beautiful coasts. The tradition for this party is based on setting big bonfires at the beach, and at midnight, carrying out a ritual of purification by fire. According to this custom, you must put in the fire something old or a paper where you have written all those things you would like to change from now. In this magical night, we find the best moment for body and soul purification, which can be achieved by swimming in the sea under the moonlight. Many people or companies are taking advantage of this night, which also marks the beginning of the summer season, so they organise dinners with friends or job partners, or even weddings and all kind of events. This is a popular night, which we have been expecting the whole year, and which is worth to celebrate in style. 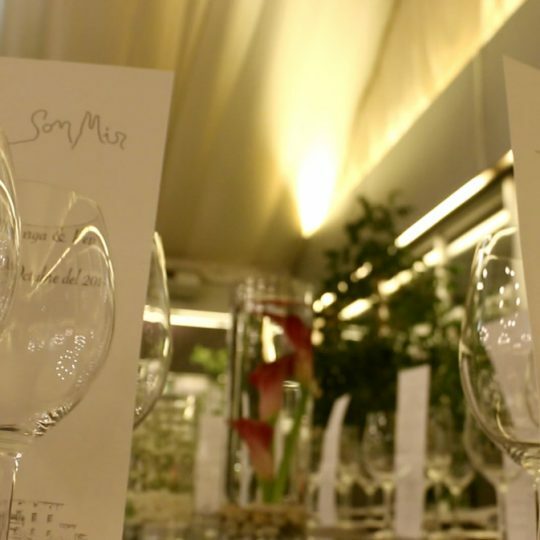 Marc Fosh Catering is a catering company which goes beyond serving a menu in events. We always offer a custom-made service, with avant-garde and innovative dishes, always using daily fresh and natural ingredients. In this San Juan night, what is better than enjoying a tasty toast with goat cheese and truffle honey or some gazpacho and watermelon cups under the moonlight? Or our delicious “cristal” bread with ramallet tomato, garlic and olive oil? Whatever your idea is, we adapt to your tastes and preferences, so your celebration is 100% to your liking, and always with the highest professionalism and warranty. From Marc Fosh Catering, we wish you all a great San Juan night, with lots of fun, magic and, above all things, with many accomplished wishes!